Although the majority of Americans carry credit cards, most of those cards are likely from a handful of major banks that have dominated the market for decades. As credit cards continue to grow in global popularity, however, foreign banks are looking for a foothold in the US market. One such bank is HSBC, a British multinational banking and financial services company that traces its roots back to the once-British colony of Hong Kong in the 1800s. Today, HSBC is the seventh largest bank in the world, with locations around the globe. In the US, HSBC offers a wide range of banking products, including a variety of credit cards. While some cards are reserved for valued HSBC clients, others are available to any interested consumers. Here in the U.S., competition for credit card customers is fierce. To corner as much of the market as possible, many of the largest issuers — including Chase and American Express — offer huge stables of cards to appeal to a wide audience. HSBC, on the other hand, offers fewer than a dozen cards, each with a specific purpose and target demographic. 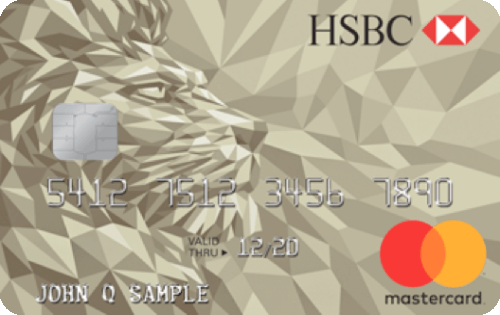 While limited, however, HSBC does manage to pack a lot of potential into its card lineup, offering a card for nearly any kind of customer. Although there may be some argument about whether cash is still king when it comes to making purchases, cash back rewards are definitely still a popular way to earn and redeem. Cash back’s popularity is likely due to its ease of use, offering straightforward rewards without points to maximize or miles to transfer. Selecting the very best HSBC card for cash back rewards is fairly simple — the bank only offers one cash back card, the HSBC Cash Rewards Mastercard® credit card. But while it may be the only option for earning cash back, the card is a solid contender with similar cards from other issuers for consumer favor. 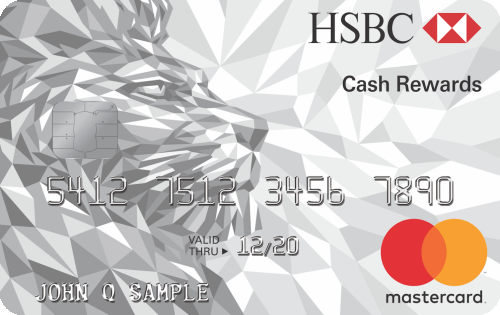 The HSBC Cash Rewards Mastercard® credit card operates the simplest form of cash back rewards, offering a flat rewards rate that provides the same 1.5% cash back on every purchase. That means users won’t have to track or activate bonus categories to earn a decent rewards rate on every purchase. And that’s not the end of the earning. Cardholders will also receive a 10% Anniversary Bonus on all cash back rewards earned throughout the year. So, if you earn $500 in cash back during the year, you’ll earn an extra $50 bonus on your cardholder anniversary. Additionally, you won’t have to worry about losing your earnings to an annual fee, as this card doesn’t charge one. New cardholders can also enjoy a small signup bonus and an introductory APR offer good on balance transfers posted within the first 60 days of account opening. Arguably the biggest downside to credit cards, interest fees are the main thing that stops the credit card from being a universally positive tool. On the bright side, you can avoid interest fees with most credit cards simply by paying your balance in full each month. At the same time, not every cardholder can pay off their balance in full each month. In some cases, you simply need more time. That’s where introductory 0% APR deals can be a huge win, as the best offers can provide interest-free financing for a year or more — as is the case with HSBC’s top 0% APR card, the HSBC Gold Mastercard® credit card. Ranking near the top of 0% APR cards, the HSBC Gold Mastercard® credit card‘s long promotional period means cardholders can take advantage of well over a year of no interest on both new purchases and balance transfers, with a potentially low variable APR after that. Not bad for a card with no annual fee. Keep in mind that balance transfers must be made within the first 60 days of account opening to qualify for the introductory rate. A balance transfer fee will also apply to each transfer made to the card. The card also offers several other money-saving benefits, including charging no foreign transaction fees on purchases in foreign currencies and no fee for authorized users. And even late fees won’t be a problem — at least, not once per year; cardholders receive an annual Late Fee Waiver. When it comes to making the most of your credit card rewards, points rewards often have a leg up on other types of rewards thanks to the redemption flexibility offered by points. In fact, many of the top rewards credit cards are points cards, often for that very reason. Given the popularity of points, it’s little surprise that HSBC offers multiple points rewards credit cards, including several with a focus on travel rewards. The top points card overall, however, has to be the HSBC Advance Mastercard® credit card. While applicants will need to have an existing U.S. HSBC Advance or Premier checking account to qualify for the card, existing customers can find decent value. This card is an ideal pick for users who like to dine out and hit the town regularly, offering double points on both dining and select entertainment purchases. The broad dining category means you’ll earn points whether you dine in or take out. And the entertainment category includes a range of purchases, including sports and recreation membership clubs, sports promoters, amusement parks, tourist attractions, bands and orchestras, movie theaters, and record stores. New cardholders can also receive a stash of points when they meet the spending requirement for the signup bonus, as well as an introductory 0% APR offer that’s good on new purchases and balance transfers (eligible balance transfers must be made within the first 60 days of account opening). All across the interwebs are forums and blogs packed full of amazing stories of the free travel scored by savvy credit card users. These stories have inspired an entire population of cardholders who are turning credit card travel rewards into the trips of their dreams. While versatile points credit cards with transferable rewards dominate the travel rewards credit card scene, they aren’t the only options, nor are they right for every user. For HSBC customers, the HSBC Premier World Mastercard® credit card edges out the competition for the spot as the best HSBC travel card. Although this card doesn’t have the highest rewards rate on travel purchases, it’s double points per dollar spent on travel is a respectable rate, especially considering that the card doesn’t charge an annual fee — unlike the majority of travel rewards cards. In addition to double rewards for travel purchases, cardholders also earn 1X point per dollar on all other purchases. All rewards are unlimited, meaning there’s no cap on how much you can earn. Rewards can be redeemed for travel through HSBC’s travel site, or as a statement credit for previous travel purchases. Points can also be transferred to participating travel partners. As with most HSBC cards, you’ll need to be an existing account holder to qualify. Specifically, you’ll need a U.S. HSBC Premier checking account relationship to qualify for the HSBC Premier World Mastercard® credit card. You’ll also need to maintain a balance of $100,000 in combined deposit accounts and investment balances with HSBC. Credit card rewards are awesome. They’re basically like earning a rebate on everything you buy, saving you money on every purchase and often unlocking things like free travel or unique experiences. But even the best cards have small earnings rates that can make earning enough for a big redemption seem impossible. That’s where signup bonuses come in handy. Usually consisting of tens of thousands of points or hundreds of dollars in cash back, signup bonuses can jump-start your rewards as soon as you meet the spending requirement. While most HSBC cards offer a signup bonus of some sort, the HSBC Premier World Elite Mastercard® credit card has the most valuable bonus by far. The hefty signup bonus for this card is enough to get you where you want to go — and probably then some. The spending requirement may be a little steep for the average cardholder, but the card’s big annual fee already means applicants are likely to be on the higher end of the average spend. Similar to its sibling, this card requires applicants have an existing U.S. HSBC Premier checking account relationship and qualifying deposits and investments to be eligible for approval. Unlike its sibling, however, this offers additional rewards for eligible purchases — and a big old annual fee. You do get some decent return for that fee, including triple Rewards Program Points on new travel purchases and double points on dining. Users also get complimentary airport lounge membership, an annual $100 air travel credit, an annual $100 rideshare credit, and an $85 TSA Pre√® credit. Can You Pre-Qualify for an HSBC Credit Card? At one point, qualifying for a new credit card was a bit of a gamble. You filled out the application — typically by mail — and sent it off into the abyss. Weeks later, you’d receive either your new card or your rejection letter. You’d also be gifted with a hard credit inquiry on your credit report. 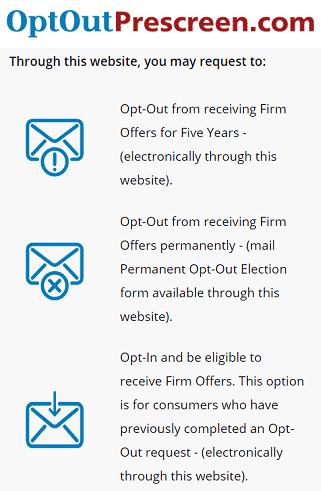 OptOutPrescreen.com allows you to opt in and out of credit card and loan offers. That’s because each application for credit comes with the hard credit inquiry that results from the creditor checking on your creditworthiness. While one or two hard inquiries will cause little damage to your credit score, too many can be an issue. These days, many issuers offer the ability to check for pre-qualified credit card offers. Sort of a trial application, pre-qualification uses a soft credit inquiry (which won’t hurt your credit) to get an estimate of your chances of being approved for a given card. Unfortunately, HSBC doesn’t offer an online pre-qualification application. No online pre-qualification application means you can’t preemptively apply for pre-qualified offers. You can still be pre-qualified for an HSBC credit card, but you’ll have to wait on an offer coming in through the mail to receive a pre-qualification offer from HSBC. All consumers are, by default, opted into receiving pre-qualified credit card offers, which means you could wind up with an HSBC pre-qualification offer at any time. However, if you’ve ever opted out of pre-screened offers+, you’ll need to opt back in if you want to receive HSBC offers. Given the literally hundreds of credit cards out there, narrowing the field down to the one you’d like to apply for can be a challenge in and of itself. But, the challenge doesn’t end with card selection. Next, you have to apply — and get approved. 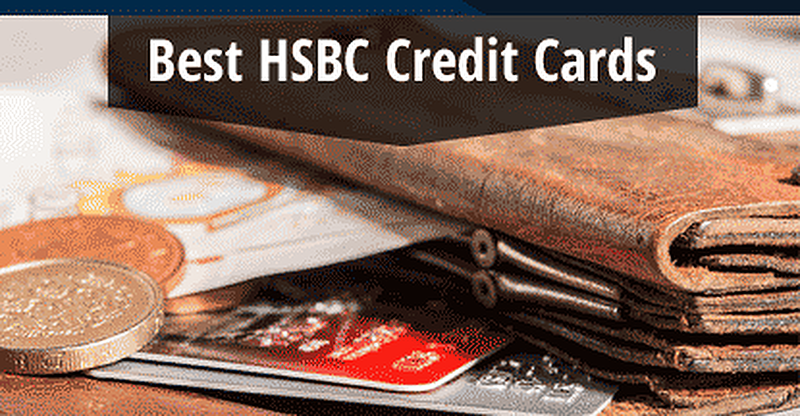 All HSBC credit cards will, first and foremost, require that you have at least good credit. While there isn’t a published credit card cutoff, this usually means a FICO credit score of at least 670, though a score above 700 will give you the best approval chances. A high credit score isn’t all you’ll need, of course. As with any issuer, HSBC will evaluate your entire credit profile when considering your application. You may also need to meet additional qualifications depending on the card you wish to obtain. For example, only a few of HSBC’s credit cards are open to the public. This includes the HSBC Cash Rewards Mastercard® credit card and the HSBC Gold Mastercard® credit card, and the HSBC Platinum Mastercard® with Rewards Credit Card. To apply for these cards, you simply fill out the easy online application. Alternatively, you can call HSBC’s Customer Relationship Center or head into an HSBC branch. Anyone who meets the minimum requirements can apply for these cards, regardless of their relationship with HSBC. On the other hand, if you want one of the other HSBC cards, such as the travel-focused HSBC Premier World Mastercard® credit card, you will need to already be banking with HSBC. And you can’t have just any old account; each card has designated account requirements. The Advance card requires either an Advance or Premier checking account and a minimum of $10,000 in U.S. personal deposit account and investment balances, or at least $5,000 in balances and a recurring direct deposit at least once a month. If you want a Premier credit card — i.e., either of the travel rewards cards — you’ll need to have even more in the bank. Specifically, you’ll need an HSBC Premier checking account and to have at least $100,000 in combined U.S. Dollar personal deposit account and investment balances. For consumers who already have the necessary accounts and balances, applying for these restricted cards simply requires logging into your account to fill out the online application. You can also apply by phone or head into your local branch to apply in person. Some HSBC credit cards require a specific type of HSBC bank account and a minimum balance amount to become eligible to apply. If you don’t have the necessary accounts and balances, you’ll need to open the appropriate account to apply for the associated credit card. The application for an HSBC Premier or Advance checking account can be filled out online in most cases. Most applicants should receive a decision within minutes of applying. In the case that a decision can’t be made immediately, you should receive a response within seven to 10 business days. If you need to check on the status of your application, contact the Customer Relationship Center at: 800-485-1794. America is the birthplace of the modern consumer credit card, so it’s appropriate that it is also the home for many of the largest credit card issuers in the world. But just because there are billions of credit cards in the U.S. doesn’t mean we have the monopoly on the market. No, a number of foreign banks are also big credit card issuers, and HSBC is no exception. With a stable of cards designed to meet a variety of needs, HSBC has several competitive credit cards worth considering. As with any credit card, of course, be sure to use your new HSBC credit card responsibly. Always pay your bill on time each month, and maintain low credit card balances whenever possible. With responsible use, many of HSBC’s credit cards can offer a good value to cardholders.